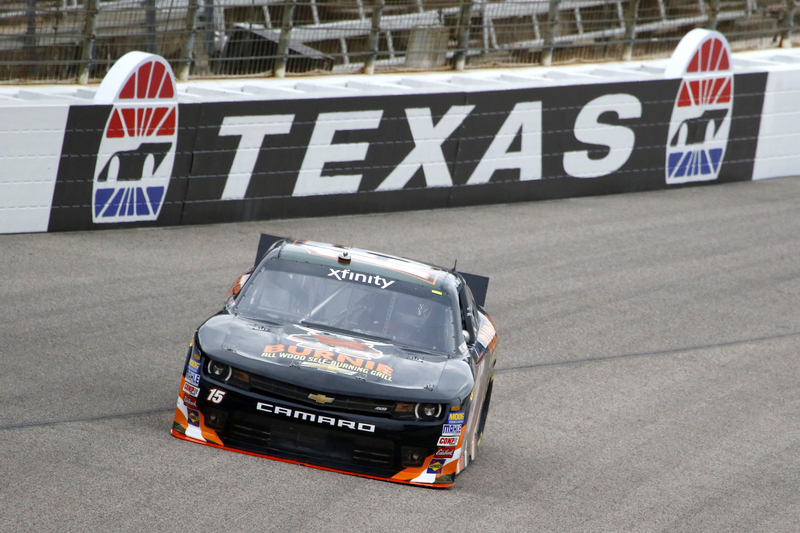 FORT WORTH, Texas (November 9, 2015) – NASCAR driver Ray Black Jr. enjoyed three days of racing at Texas Motor Speedway, as he competed in two of the three races in the Lone Star state. Black drove his No. 07 ScubaLife.com Chevrolet to a 19th place finish in the NASCAR Camping World Truck Series (NCWTS) race on Friday night. He then made his NASCAR XFINITY Series (NXS) debut the following day and piloted the No. 15 Burnie Grill Chevrolet Camaro to a 27th place finish. Black fought handling issues with his No. 07 ScubaLife.com Chevrolet from the start of the weekend, as the truck was extremely tight. The team and driver worked hard on making adjustments throughout two practice sessions, qualifying and the race, but nothing seemed to free up the truck as they would have liked. Black battled through the handling issues for all 147 laps of the race and went on to secure a 19th place finish in the WinStar World Casino 350. Once the truck race was complete, it was time for Black to focus on his NXS debut. Black had just one practice session for the XFINTY Series, which took place on Friday. Black secured a fast time during the session, putting himself 22nd on the speed charts. He would go on to start the race from the 22nd spot, as qualifying for the O’Reilly Auto Parts Challenge was cancelled due to a rain-soaked track. After the green flag dropped, Black focused on each lap that passed, making sure he met all his marks on the track. While the No. 15 Burnie Grill Chevy Camaro was a tad loose, Black managed to hold position around 25th place for the majority of the race. Unfortunately, a problem with the right front shock developed in the closing laps of the race, forcing Black to drop a couple of spots to 27th in order to save the car from picking up any damage. Next weekend, Black will compete in the NASCAR Camping World Truck Series’ Lucas Oil 150 at Phoenix International Raceway on November 13. Learn more about Ray Black Jr. by following him and his sponsor, ScubaLife, on Facebook, Twitter and Instagram at @TeamScubaRacing and @RayBlackJr.